Well, it's really crunch time now. 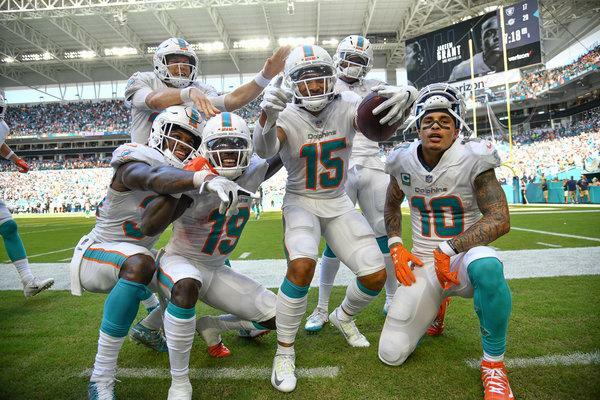 The 3-0 Dolphins have opened up a two-game advantage over the 1-2 Patriots in the AFC East, and their head-to-head matchup now could decide the inside track for the divisional crown. While it's still early (and these are still the Dolphins, remember), a loss here would set New England back three games and make it even harder to catch up to Miami in the standings over the coming weeks. Needless to say, this is a must-win of must-wins. But the way the Pats have been playing recently, nothing is a gimme. This Dolphins D isn't outstanding up front, but Xavien Howard is rapidly developing into a shutdown cornerback. 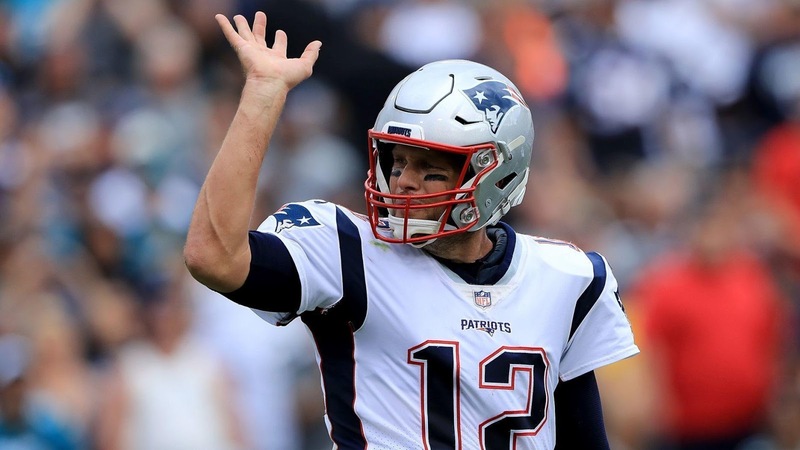 The Patriots will clearly have to throw to win this game, but after his recent poor performances, I might think twice about starting Tom Brady. His risk factor is high this week--he'll either win you your game with a 40-point revenge spectacular, or he'll lose it for you with another awful showing like the past two weeks. If you're looking for someone to contribute a decent amount and let the rest of your lineup do the heavy lifting, Ryan Tannehill would be a better option. The Dolphins O is more smoke and mirrors than actual fire, but he's completed over 70% of his passes in every game, and he's recorded 7 TD passes already. 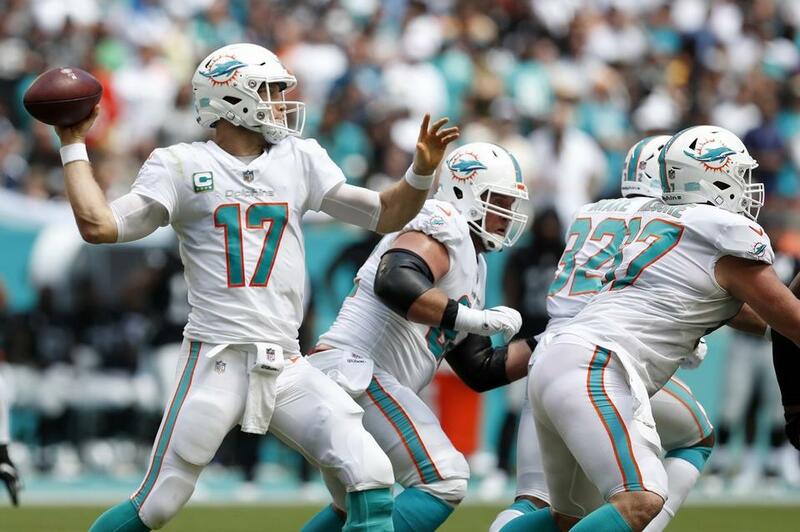 Against an injury-riddled Pats D, Tannehill should turn in another solid week. 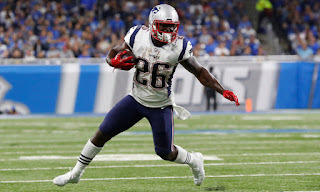 James White continues to be a good PPR option--Sony Michel has cut into his playing time, but in deeper leagues White can still be a potent flex. Michel, meanwhile, is a sticker situation. While he hasn't made any flashy, head-turning plays yet, he's had little help in the pass game and even less help blocking up front. This Miami D should give him opportunities to get going. He'll certainly have the opportunities to perform at a flex level or higher. On the Miami side, Kenyan Drake hasn't rushed for over 53 yards yet this season. 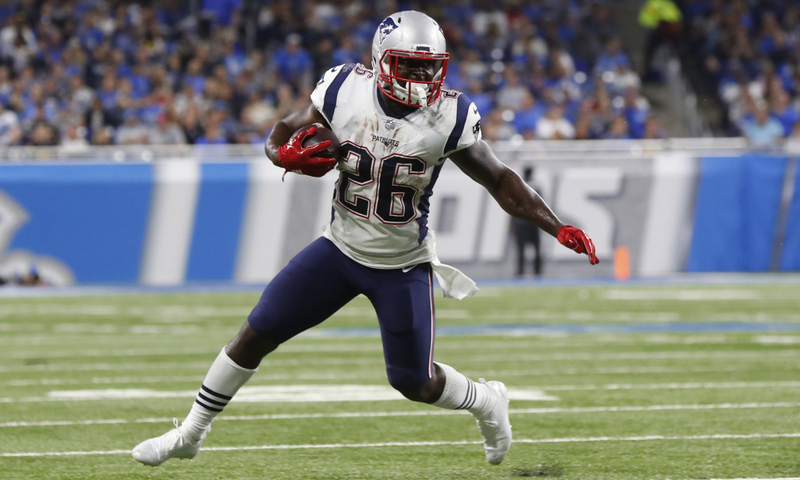 While the Patriots defense was gashed last week, allowing the Lions' first 100-yard rusher in five years, I think this week they lock in and hold Drake to something around that number. He should stay on the bench unless your league is extremely deep. After one week, Chris Hogan did nothing against Detroit. The only really consistent receiver so far has been Gronk, which doesn't help forecast the wide receiver position. Either way, without Josh Gordon on the field there aren't any startable receivers currently playing for New England. Miami's Kenny Stills has turned a mere 9 catches into 184 yards and 3 scores so far. The way the Pats D is playing, he should be in for a good day on Sunday. He's a solid flex play in most leagues, especially deeper ones. Despite his struggles the past few weeks, Gronk is still a premier tight end option. The draft investment and upside for him far outweigh the risk of a lighter week. The Dolphins' Mike Gesicki is far away from being a similar option. Don't bother picking him up. Directly quoting my words from last week, this is a prime opportunity for the Patriots defense to get back on track and force some turnovers against a gunslinger quarterback like Ryan Tannehill. Then again, the defense fared pretty poorly against a gunslinger last week. Starting the Pats D this week is a vote of confidence in Bill Belichick more than anything else. While admirable, I would just wait until they actually get things back on track before playing them. For the Dolphins, the opposite is true. I'll continue to bench D/STs going against New England until it's abundantly clear that this offense is simply incompetent. We're a couple weeks away from that point. At least Stephen Gostkowski is pretty consistent. He's a much better kicker than Miami's Jason Sanders. That's it for this fantasy breakdown. 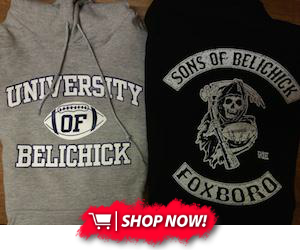 Enjoy your Sunday, and Go Pats!